It is important to first understand Whole Body Vibration (WBV) in general. WBV allows the user to stand, sit or lie on a machine with a vibrating platform. As the machine vibrates, it transmits energy to the body, forcing muscles to contract and relax dozens of times each second. Varying frequencies/amplitudes/forces are transferred into specific body parts. There is an involuntary muscular response to vibration; the muscle contracts and relaxes at the same rate as the Hz set on the WBV unit. Specific WBV frequencies make muscles contract more often and to a greater degree. For example, if the unit is set to 30Hz for 30 seconds, the muscle will contract and relax 900 times. How Does Sonix WBV Work? Sonix Whole-Body Vibration (SWBV) employs a speaker system with magnetic circuits (PEMF), rather than just a vibration spin motor. SWBV is positioned in a natural vertical plane of motion, has fully adjustable intensity, and employs a true sine wave directional change. This combination results in a greatly enhanced and more efficient vibrational exercise experience. Mechanical WBV simply cannot function at the level that SWBV does. Only Sonix Whole Body Vibration is sound actuated, offers the optional frequency range from 3-50 Hz in one step increments, can adjust amplitude from 0 to max (22mm) and emits a coherent low frequency electromagnetic field. Reaction to vibration is dependent on the frequency, magnitude, duration and type of vibration — or how often, how much and how long the vibratory stimulus. The benefits of Sonix WBV are numerous… the reason for this is because Sonix WBV stimulation affects not only your musculature but also your internal organs and glands, including your brain. Q. What are the Contraindications & Effects of the Sonix Whole Body Vibration? A. This list below of contraindications is not absolute. If one of the conditions listed below applies to you we strongly advise that you consult with your physician before using the Sonix. If you have any known heath concerns in addition to this list, consult your physician and advise them you wish to begin a Sonix vibration exercise program which vibrates in a vertical plane between 3-50 Hz (vibrations per second) and has an adjustable intensity (rate at which the plate vibrates up and down). Your body may endure between negative and positive 3 Gs of force for up to 10 minutes. This can be equivalent to 1 hour of cardio. 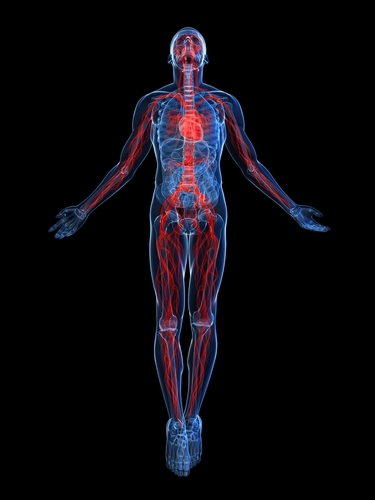 Research is still being conducted on the effects of vibration on certain medical conditions. Very frail individuals and children should consult their physician and be accompanied by an adult when using the Sonix. Children using SWBV -. With young children, it is advisable to restrict use to under 3-4 min at a 50% or less amplitude. This would include the low intensity setting, or in the Manual mode at low frequency. Q. Should I take my shoes off before using the Sonix? A. Yes. It is recommended that you take off your shoes before using the Sonix. Shoes can absorb some of the good vibrations from going through your body. By removing your shoes you will also be in a more natural position. To get the best results from you Sonix experience you should be barefoot or wearing a pair of socks. Q. How should I be standing while using the Sonix? A. While on the Sonix, hold your most perfect posture. Shoulders back, head up looking forward, breathing deeply. Standing tall, places your body posture in a neutral weight distribution position for the best overall affect. Q. Is there anything I can do to increase the effects of the Sonix? A. While on the Sonix flex and tense muscles in various isometric contractions. The stimulation of the fast twitch muscle response is the natural process of the Sonix using the weight of the cell in gravity. To get faster results from your 10 minute Sonix workout, flex and hold different muscle contractions. Also, Breathe. Breathe. Breathe. When all 100 trillion of your cells are in motion, they are screaming for oxygen to help burn the large number of calories being spent. Be sure and breathe deeply. Q. Should I ease my way into using the Sonix? A. Yes. Start off slowly. In the beginning stick with the 10 minute program, or even less, the body has been storing toxins for many years. The fluid movement generated by your Sonix exercise program is going to stimulate your body to detoxify and remove unwanted fluid. As you slowly adapt you may add in another 10 minute session, or use the machine several times a day with up to three 20 minute sessions. Q. Can I use the Sonix if I’m Sensitive to EMFs? A. This issue has been researched and tested over the last 10 years. Incoherent EMF is made up of thousands of random frequencies (Like microwaves, and wireless phones ). Those are not so good…… A sound wave, a single tone, or a sound in its self, is a coherent frequency. Our Sonix emits a single wave form that is coherent. Other forms of electrical equipment have incoherent, random waves that can affect the electromagnetic sensitive people. Q. What is the max G-force and amplitude for the Sonix? A. The max G-force of the Sonix is 3Gs and the max amplitude is 22mm. Q. How many calories can I burn in a 10 minute session? A. In one ten-minute Sonix session you can burn up to 190 Calories. Q. Will Sonix exercise help to increase my flexibility? A. Yes, it can help improve your flexibility. Before you use the Sonix try touching your toes, after your session try touching your toes again. You will notice It will be much easier the second time. A better range of motion and flexibility is usually the first thing users notice. 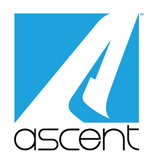 Get Ascent news and information sent to your inbox! Thank you for signing up, we will contact you shortly. © 2017 Ascent. All rights reserved.